For Wherfies, painting them blue will "revert" them to their standard colour, as that's the colour that most closely matches the basic colour. It will remain! Lawyerbot would never abide by us removing his stunning countenance from the site. He was already pretty rare, but we've made him more rare to help balance out some really horrible luck. The new system actually made bad events more rare, but also increased the frequency of Random Events overall. We're, of course, still tweaking things as we go along. 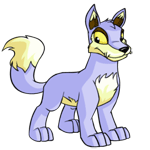 We love Krawks just as much as any other Neopet! The reason there was only one outfit is because, during our transition to JumpStart, we're low on resources as we move. Basically, we have less butter, but still the same amount of bread to spread it over! That's why we've been extending things such as Grey Day into Grey Week, so that we can still provide you with new content daily. Since Pet Days take significant resources, we've had to prune them back a bit for now. There's no offense to Krawks (or Lutaris) intended; we're just providing the amount of content that we are currently able to during this time. Think of a guide (and its writer) like a coach. Coaches teach you how to be a better player by sharing knowledge and skills they've learned from experience, and these things they teach fall within the rules and guidelines of the game. Coaches don't play for you or tell someone else to do so, nor do they show you how to trick referees or make it look as if you scored when you really didn't, because all of that would be cheating. A coach teaches you with the purpose of increasing your skill so you can become a better player. Guide writers are doing the same thing! (They are very nice and awesome people, by the way.) A "guide" that doesn't want to increase your skill, but instead wants to show you ways to fake those achievements or have someone or something else do it for you, isn't really a guide at all. It's a cheat. to hit the space bar while playing Kass Basher! You're quite right! D: We'll let the Content Department know of their grievous oversight. The Counterfeit Doughnutfruits were actually supposed to be a bit of a precursor to a new daily that we had to cancel to fit in other content. We keep bringing the idea back up, so we might do it eventually. We recommend just letting them sit in your SDB, but if you really just can't handle the clutter, you're welcome to discard them. For as long as there has been Jacko appearing and handing out paint brushes, there has been the Pant Devil lurking about to steal them right back. It is the way of REs -- an endless battle between the forces of "WOOHOO!" and "ARGH!" with all of Neopia caught in the middle. Games that are still functional are usually placed in the Game Graveyard. Other games (such at The Last Smiley) that have broken beyond reasonably fixable levels are completely pulled off the site. We think that the trophies are the incentive. :) Display them with pride! 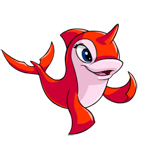 That bronze trophy on your Neopet is the updated version of the old Beauty Contest trophy. That's likely why it seems unfamiliar. :) As for the Poetry wins, you were alerted through Neomail that you had won, but it was likely already purged by the system by the time you returned. The Gallery Spotlight allows entries with premade coding, but it's considered a demerit. Basically, if there's a judging tie between two galleries or themes, then the one with non-premade coding would win. "Remember, every night we award 750 Neopoints for the top score of every game, 500 for second, and 250 for third place. These high-scores are reset on the first of each month, but the scores in your User Lookup are never deleted." The RE discount overrides the veteran perk, meaning it will be 10% off regular price. The discounts don't stack. Hissi Oil is based off of "snake oil," which is a term for fraudulent health serums that often (falsely) claim to be able to cure all sorts of ailments. The question remains in our system, but we get so many new questions each week that we're unlikely to look at older questions. You're welcome to resubmit your questions each week! that I just asked you for! "I have pillaged trading caravans," he muttered for the eighth time. "I have attacked innocent adventurers. Why am I the only Ixi Raider who cannot raid Cogham village?" "I think we'd better get a move on; someone is pretty excited!" Kai apologised to the bank manager. With so many beautiful neggs to choose from, how do you pick a favourite?